On this page you will find information specific for the course SA114X, with specialization towards Mathematical Physics and Geometry. Recommended background knowledge for writing a bachelor's thesis in Mathematical Physics is the course SF2713. The course SF2713, Foundation of Analysis, is given during the autumn semester and on special request also during the spring term. It is recommended that the student has taken this course before taking the course SA114X. If you are interested in writing a bachelor's thesis in Mathematical Physics and Geometry you are encouraged to contact the supervisor as soon as possible to discuss possible projects and get advice on needed background material for their particular project. Anyons are quantum mechanical particles with unusual statistical properties, which can appear in physical systems that are confined to one or two spatial dimensions. We currently have a rather limited understanding of the behavior of such particles in large numbers, because they always behave as interacting and not as free particles. There are however a few analytical and/or numerical approaches to the problem by means of models of fewer particles and which are suitable for a Bachelor's thesis project. Please have a look here and contact Douglas Lundholm for more information. Geometric algebra, also known as the Clifford algebra generated over a vector space together with a set of geometric operations, is a powerful tool with applications in numerous areas of mathematics and physics. For example, not only does one obtain intuitive formulations of classical mechanics, relativity theory and electromagnetism, but also discrete geometry including simplicial complexes and graph theory, as well as purely algebraic questions such as factorization identities, can be treated using these tools. See for example here and contact Douglas Lundholm for more information. The cosmological principle is the basic starting point when modeling the universe. According to this assumption, one does (at a given a moment in time) not see any difference between two points in space (homogeneity) nor between different directions (isotropy). As a consequence, one obtains the standard models in cosmology. 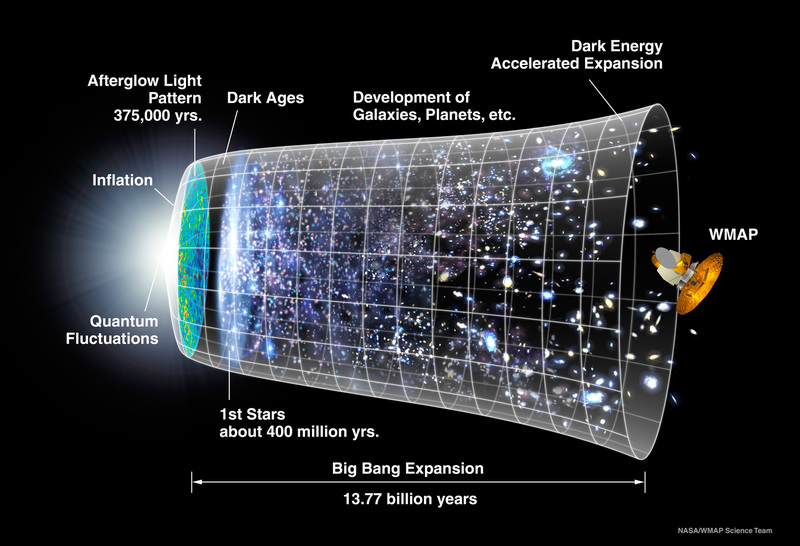 These models start with a big bang and then expand forever (or recollapse). Since the cosmological principle is not exactly fulfilled, it is, however, of interest to see what happens if it is relaxed. Does one obtain a big bang with arbitrarily strong gravitational fields? Are the standard models stable? It is quite hard to answer these questions in all generality, and it is thus natural to reduce the symmetry assumptions gradually. A natural first step is to study homogeneous (but not necessarily isotropic) models. Under these assumptions, Einstein's equations become a system of non-linear ODEs. In the easiest case, it is possible to study the solutions with methods from the course SF1629 (differentialekvationer och transformer). In the more difficult cases, the relevant systems of equations are objects of current research. In short, the equations to be investigated in this course are systems of non-linear ODEs (which appear in the study of the different cosmological models in general relativity). The objective of the course is that the participants should learn to analyze the asymptotic behavior of the solutions.